The Nationals signed pitcher Max Scherzer last week to a seven-year contract, adding the 2013 American League Cy Young Award winner to what many already believed to be the best rotation in baseball. Scherzer left the Tigers after five seasons and formally bid farewell to this former team in a full-page advertisement in the Detroit Free Press on Sunday. 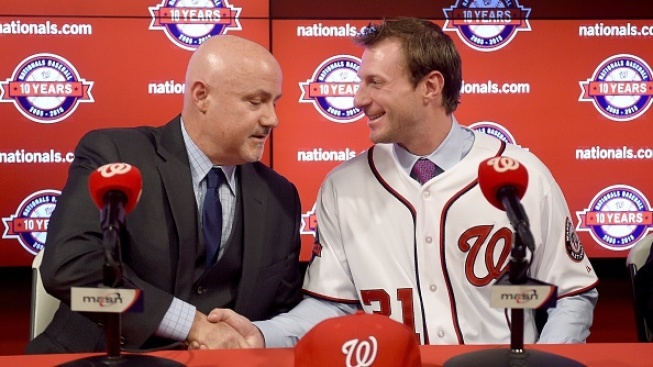 "On Thursday, the Free Press received a call from the Boras Corporation (super agent Scott Boras is Scherzer's agent)," the paper said. "The corporation asked to purchase a full-page ad in today's Free Press so Scherzer could thank the fans of Detroit for his five seasons here."